Morocco was never on The List. After visiting this amazing country I am not sure why. Going was one of those serendipitous moments. The kind where if you had planned everything out it may have taken the awe and magic out of the experience. The best part about my trip was that I made it to Africa at the age of 20. I didn't think I would get there until after I was retired. 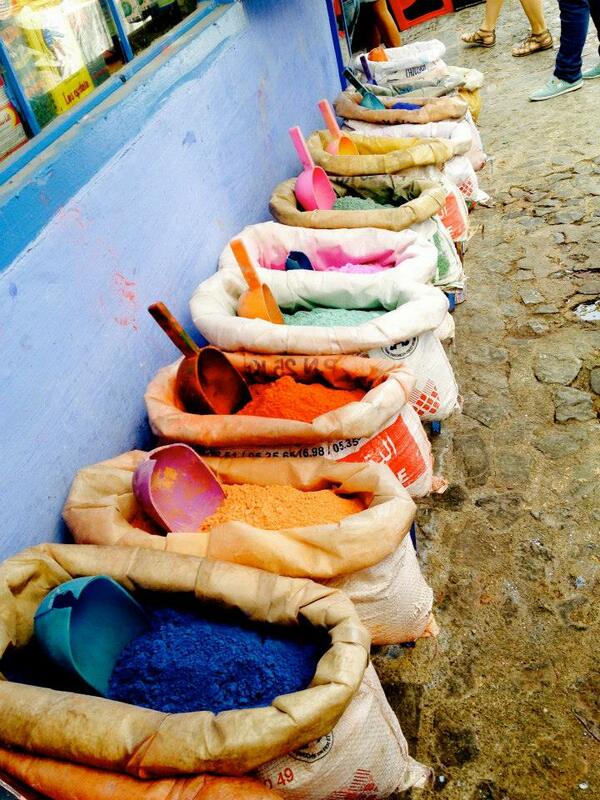 I cannot wait to go back because as I tried to capture its beauty with each snap of my lens Morocco captured my heart. My expedition to Morocco was only for a weekend. At the time I was studying in the South of Spain. The school I attended often posted about trips for students to attend because we were all foreigners, so basically tourist. Three days, $200 euro, all travel details booked for you, heck yes! We bused down to Malaga, crossed the Mediterranean, waved to Gibraltar, and touched down on African soil. 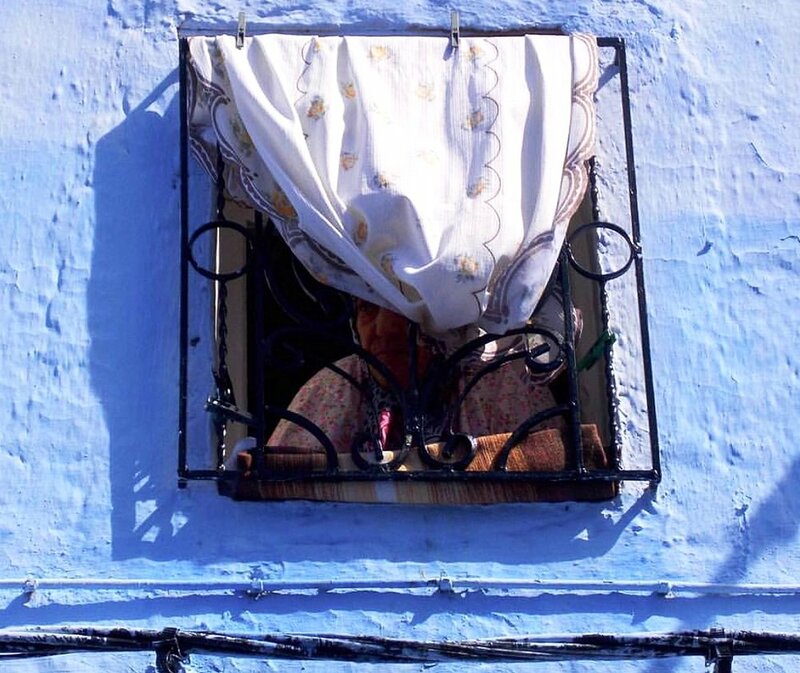 I remember the bus ride to Chefchaouen and gazing at the hills covered in olive trees. When we arrived you immediately know why it is called the blue city. 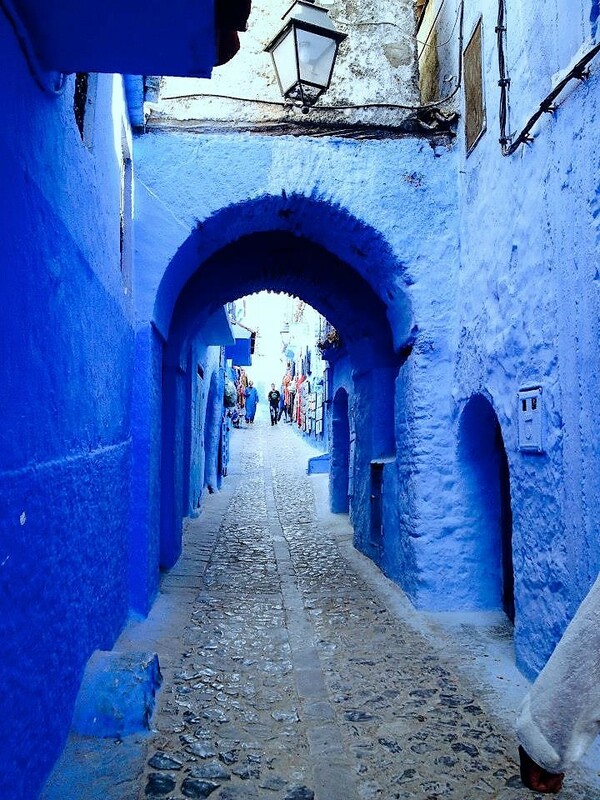 Every door, wall, alley- everything- is a beautiful shade of blue. The allies are filled with little shops robed in rugs and tapestries hanging from the walls and ceiling. Handmade leather goods suspend from hooks with colorful displays of lanterns dangling in between. Those of us who went on the trip were ready to shop, or should I say barter. While there I bought the most beautiful white tapestry and a painting, both of which, hang on my walls today. While shopping and searching we definitely needed to be on our A game. Everyone's trying to make a dirham ya know. Plus the group I was with really stood out among the Moroccans. I'll never forget the how the leather bag I bought smelled of Morocco long after I had left the country. While there I was able to see an entirely different way of living. It was like going back in time. Streets were lined with makeshift markets and food carts. We're not talking cute french inspired farmers markets. The ground was wet and muddy. There was livestock in cages ready to be sold and cooked for dinner that night. Raw fish was laid out on planks, and there were goat heads just chilling on tables (yes, just the heads). I remember our guide saying that everyone in the community depends on each other in some way. Wheather it is the business they maintain, like the bread maker, or goods they sell to us tourist to provide for their families. Everyone is connected. 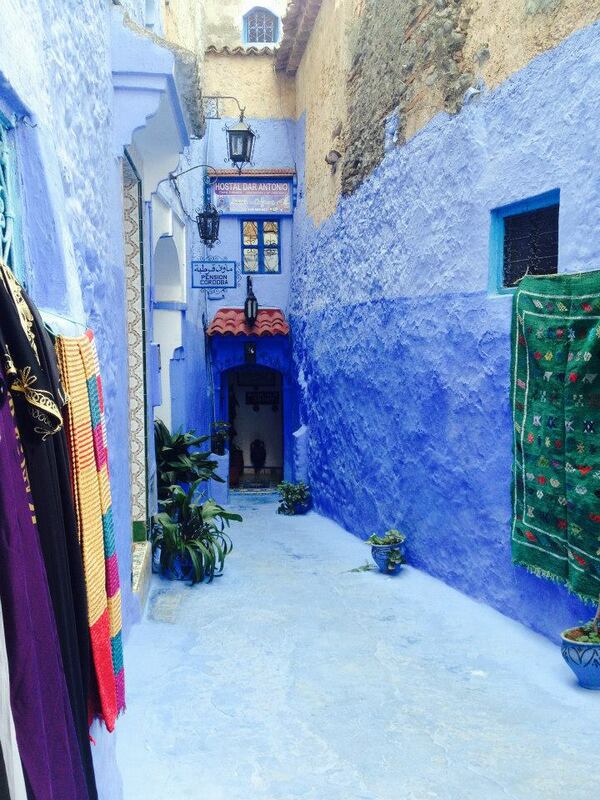 Chefchaouen was like this jewel that remained untouched from the modern world. Some may say that is sad but I found it refreshing. As I looked around life was being created by the hands of those who embodied the city. Constructing their goods by hand, making food from scratch to sell, and caring for each other. Everywhere we went people were extremely kind, and their products a reflection of who they are; colorful and unique in everyway. I will always remember my time in Chefchouaen and how I was blown away that I was able to set foot in such an alluring place. If you have any doubts about Morocco, well don't. Go and fall in love. However, if you don't speak Arabic I suggest getting a guide! Safe travels.